Announcing the relaunch of our YouTube channel, Jefcon-TV! On Feb. 16, 2012, Jefferson Consulting staffed a vendor table at Southern Delaware Social Media 101, at the beach in Lewes. We brought iTunes Gift Cards as door prices and our CEO Davis Jefferson (@jefcon1) was on hand to answer questions about implementing social media in business. It was an inspirational event with great speakers! Check out photos of the event from our Facebook page! 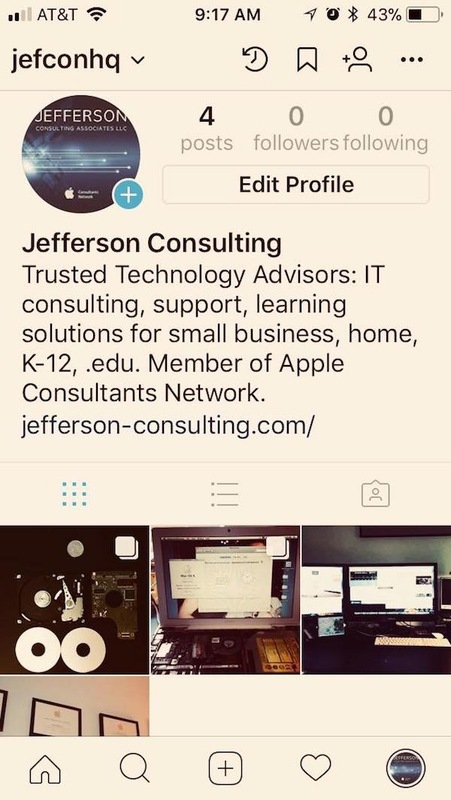 Just a quick note to let you know that you can follow your favorite Apple Consultant on all the major social media channels. We use Twitter to post articles of interest, interact with our followers and community members, and to let you know what we’re up to when we’re out and about. Our Facebook page carries slightly different content and more in-depth discussions take place there. The YouTube channel currently offers our favorite tech and music-related videos and will soon feature technology-related instructional videos. We hope you will explore our social media channels and find them interesting, informative and entertaining. We look forward to interacting with you! Questions and comments are always welcome!